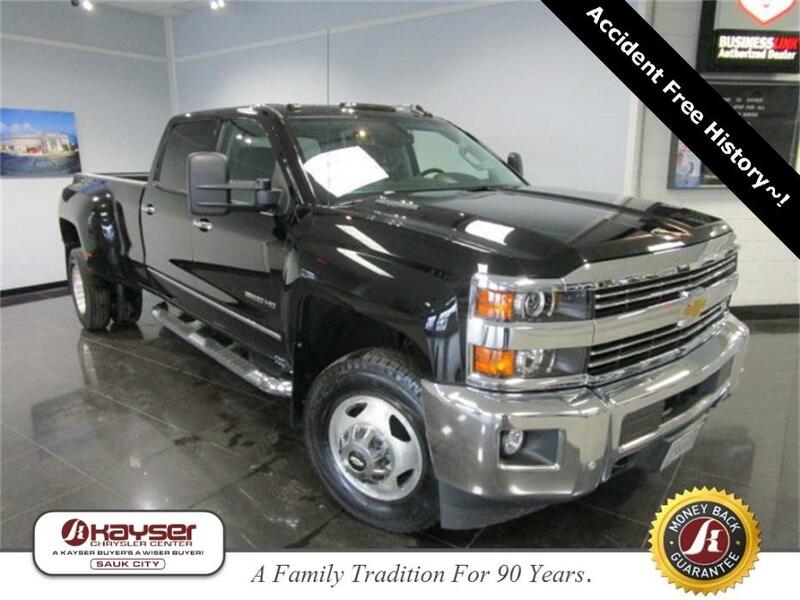 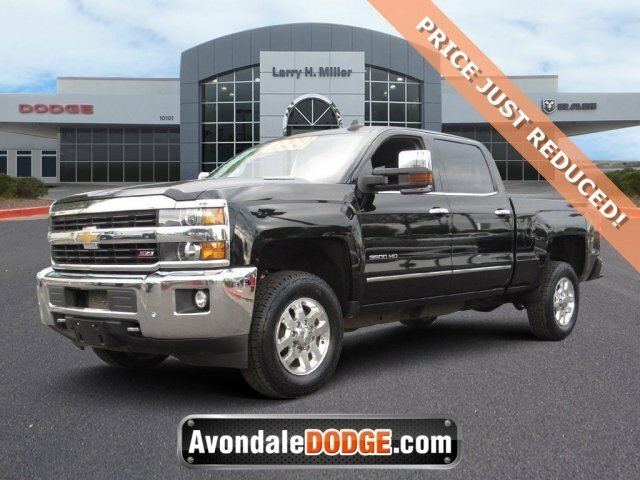 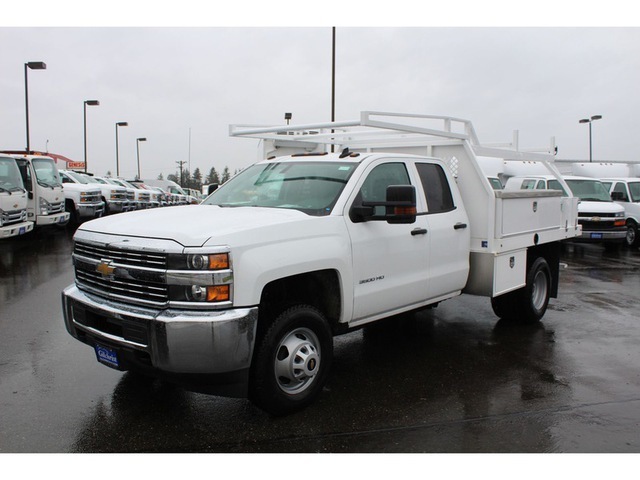 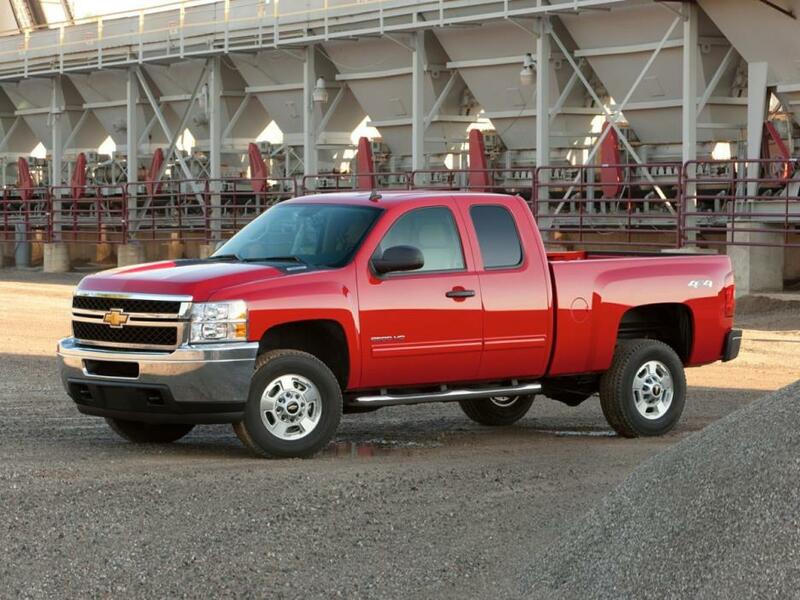 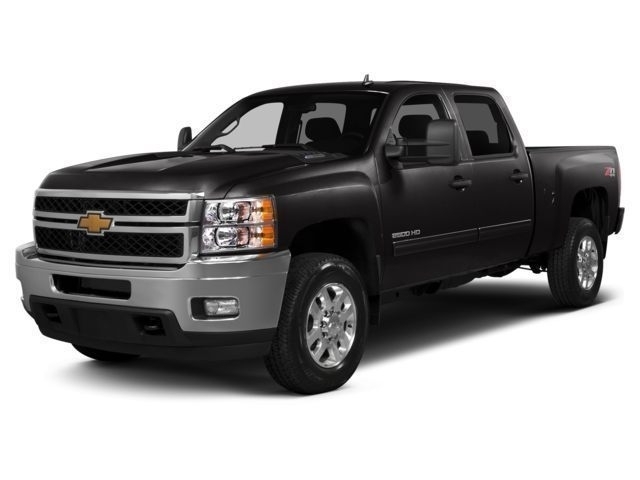 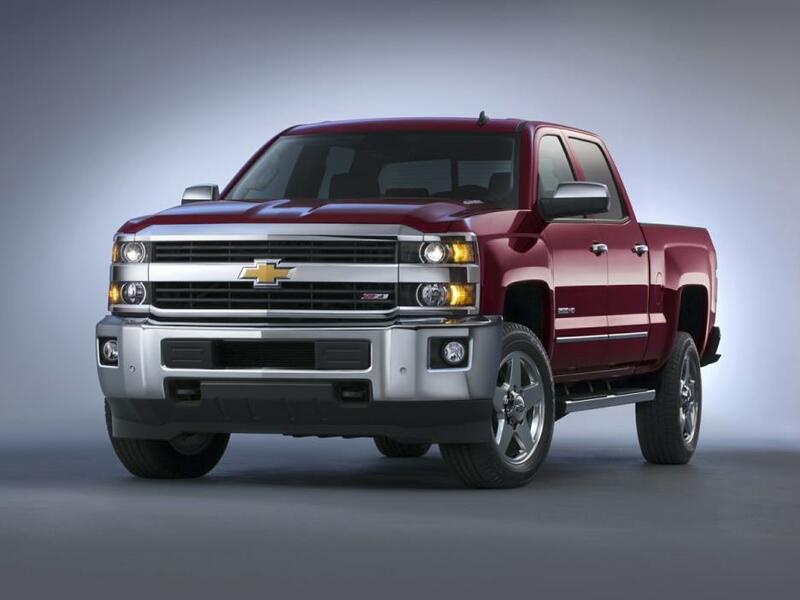 LTZ, 4D Crew Cab, , Duramax 6.6L V8 Turbodiesel, Allison 1000 6-Speed Automatic, Navigation System,Standard Suspension Package,Trailering Equipment,6 Speakers,AM/FM radio: SiriusXM,CD player,MP3 decoder,Radio: AM/FM/SiriusXM w/Chevrolet MyLink,Single-Slot CD/MP3 Player,SiriusXM Satellite Radio,Steering Wheel Audio Controls,Air Conditioning,Automatic temperature control,Dual-Zone Automatic Climate Control,Electric Rear-Window Defogger,Front dual zone A/C,Rear window defroster,110-Volt AC Power Outlet,Memory seat,Power driver seat,Power steering,Power Windows,Power windows,Remote Keyless Entry,Remote keyless entry,Remote Vehicle Starter System,Steering wheel mounted audio controls,Universal Home Remote,Manual Tilt-Wheel/Telescoping Steering Column,Traction control,4-Wheel Disc Brakes,ABS brakes,Dual front impact airbags,Emergency communication system,Front anti-roll bar,Front wheel independent suspension,Occupant sensing airbag,Brake assist,Electronic Stability Control,Exterior Parking Camera Rear,Delay-off headlights,Front fog lights,Front Halogen Fog Lamps,Fully automatic headlights,Panic alarm,Security system,Unauthorized Entry Theft-Deterrent System,Speed control,150 Amps Alternator,Bodyside moldings,Bumpers: chrome,Chrome Bodyside Moldings,Chrome Door Handles,Chrome Power-Adjustable Heated Outside Mirrors,Electronic Shift Transfer Case,EZ-Lift and Lower Tailgate,Heated door mirrors,Power door mirrors,Rear step bumper,Turn signal indicator mirrors,4.2" Diagonal Color Display Driver Info Center,Auto-Dimming Inside Rear-View Mirror,Auto-dimming Rear-View mirror,Color-Keyed Carpeting Floor Covering,Compass,Driver and Front Passenger Visors,Driver door bin,Driver vanity mirror,Front reading lights,Garage door transmitter,Illuminated entry,Leather-Wrapped Steering Wheel,OnStar 6 Months Directions/Connections,OnStar w/4G LTE,Outside temperature display,Overhead console,Passenger vanity mirror,Rear reading lights,Rear seat center armrest,Rear Vision Camera w/Dynamic Guide Lines,Tachometer,Telescoping steering wheel,Tilt steering wheel,Trip computer,Voltmeter,Front 40/20/40 Split Bench Seat,Heated and Cooled Driver and Front Passenger Seats,Heated Driver and Front Passenger Seats,Heated front seats,Leather-Appointed Seat Trim,Power passenger seat,Rear 60/40 Folding Bench Seat (Folds Up),Split folding rear seat,Front Center Armrest w/Storage,Passenger door bin,Deep-Tinted Glass,Power Sliding Rear Window w/Defogger,Variably intermittent wipers,4.10 Rear Axle Ratio,Excellent Accident Free Vehicle History,Remaining Factory Warranty, Call 855-652-4406 and speak with our commercial truck department for additional information and Lowest Pricing including all current rebates and incentives applicable to you. 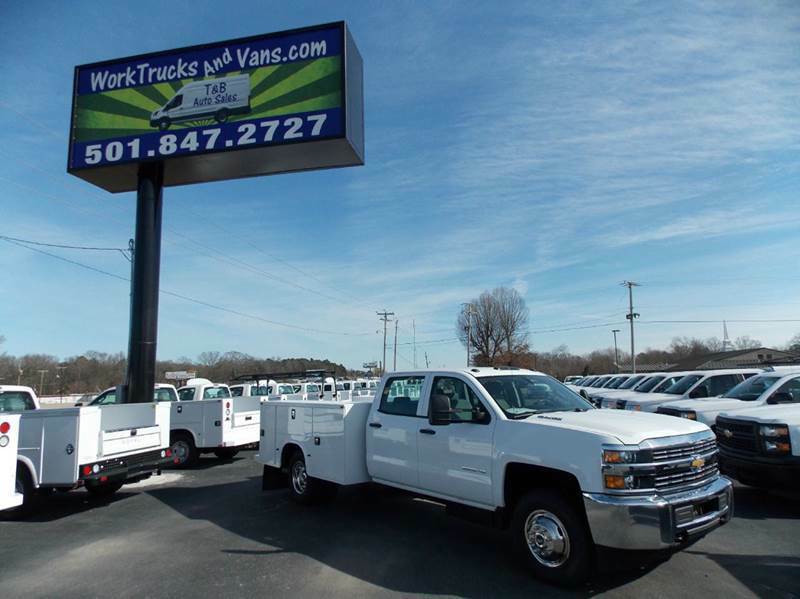 Chevrolet Silverado 3500 HD LT Duramax Diesel 4X4 Dually Crew Cab Long Bed, 2008 Chevrolet Silverado 3500 HD crew cab LT long bed Dually 4x4 Duramax with Allison transmission pick up. 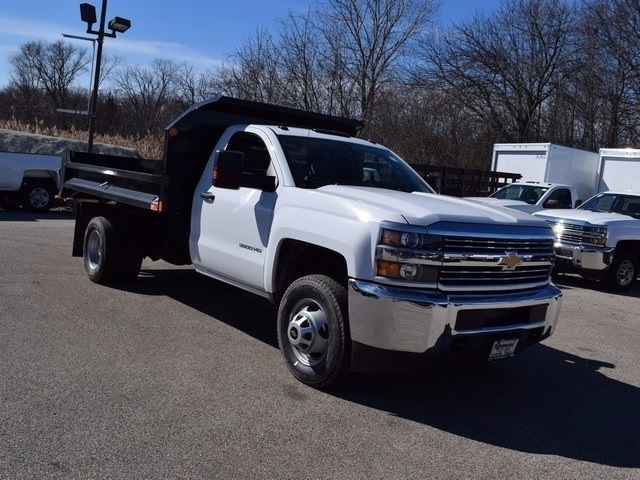 This truck has an incredibly good look and is priced extremely well for this body style Hd Chevrolet dually with these upgrades. 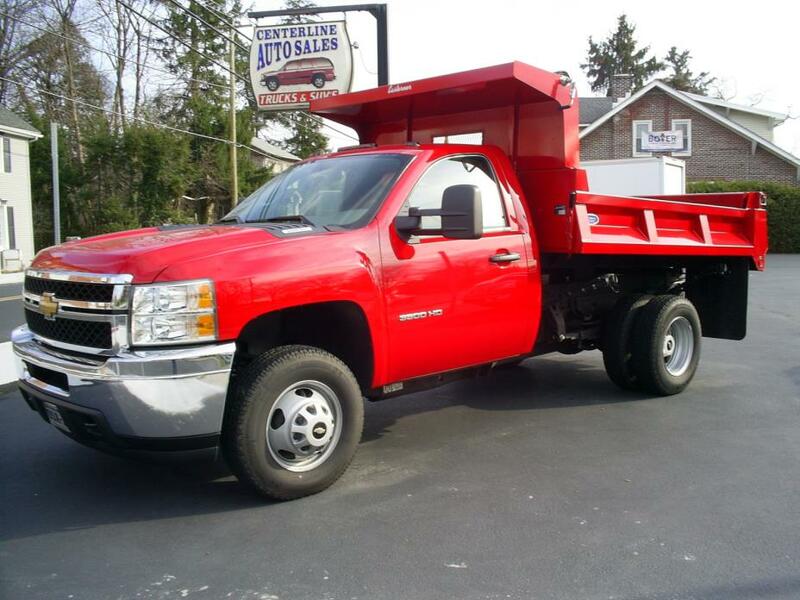 This Duramax diesel 6.6 turbo is Fully loaded with options such as: Bose, touchscreen navigation, CD player stereo, dual digital climate control, 4 wheel drive, remote start keyless entry, tow mirrors, tow package, factory trailer tow command, power seats, leveled out with 22.5 Alcoa wheels freshly high polished with heavy ply tires, tinted windows, bedliner, chrome appearance package, bug shield, weather tech floor mats front and back, rear overload airbag suspension, and much more. 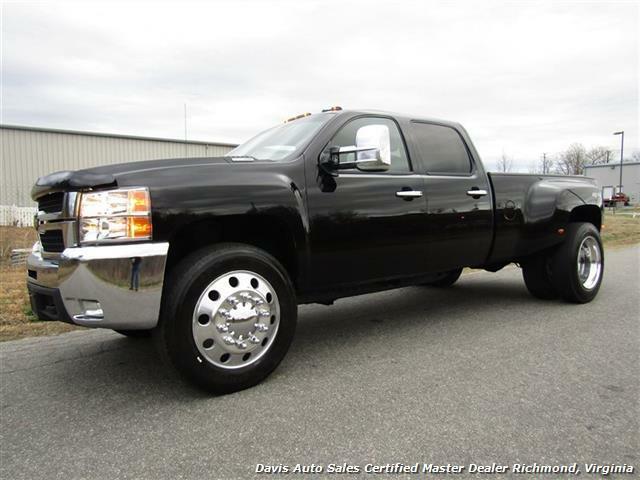 This truck has been serviced head to toe inspected properly and is ready to enjoy. 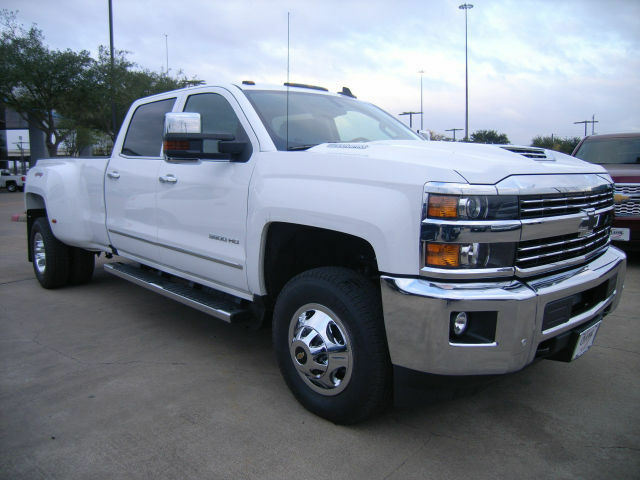 Nice pleasure vehicle or tow vehicle, whatever your use your gonna look good doing it!!! 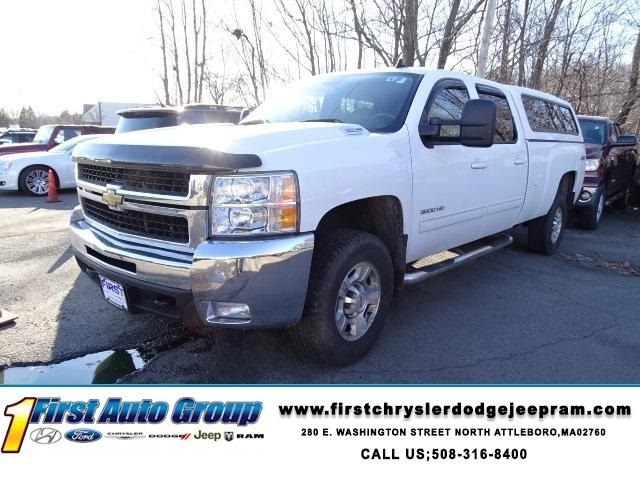 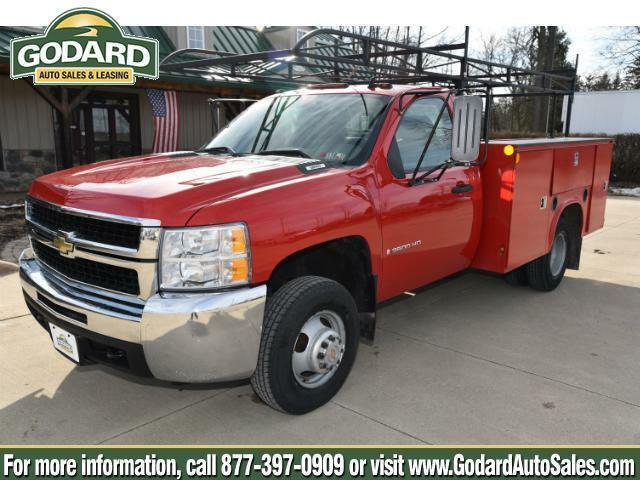 We realize this truck has a lot of miles and like any used vehicle it is not perfect, but this is a lot of truck for the money no matter how you cut it and ready to put to use. 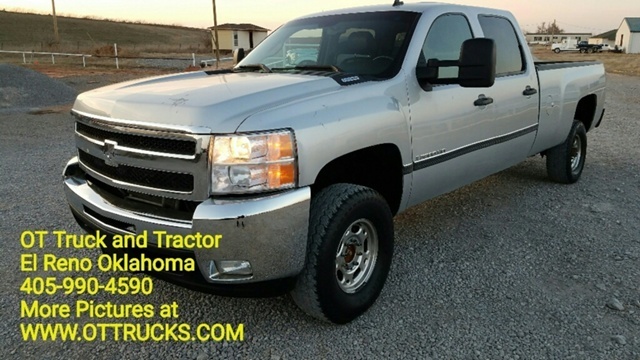 Priced $5,000 below NADA value!!! 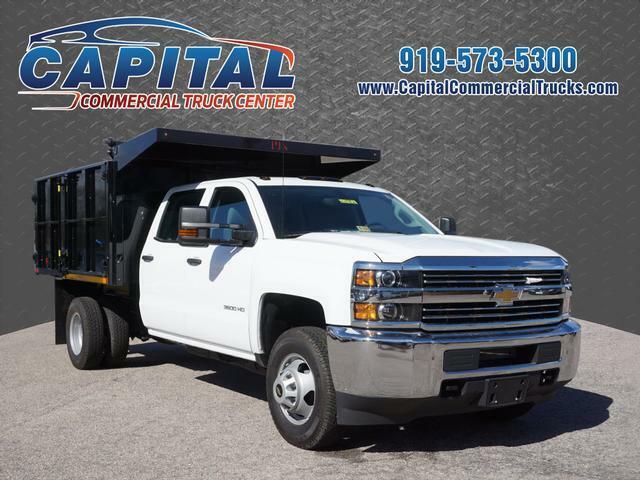 Finance options are available apply at , we also will help you work with your bank or credit union, cash deals are welcomed, or financing through USAA or Navy Federal.